Esquire Horseplayers Episode 2 Recap; Derby Darling: Episode 2 of Horseplayers aired on the Esquire network on Tuesday January 28th, 2014. 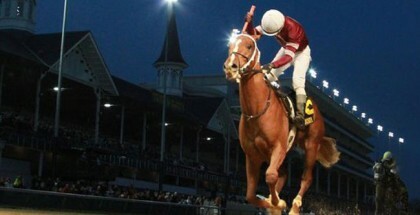 The horseplayers are seen starting the 2013 racing season with the Triple Crown. Viewers get to see Horseplayers from episode one and are introduced to newbie 23-year-old Matt Bernier, who is a novice to the sport of horse racing and has only been a horseplayer for three years. The Horseplayers “have some Triple Crown fun” in the 2nd episode. Watch every Tuesday night on the Esquire Network at 10:00 PM EST. 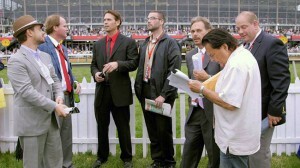 We were also given more of an inside glimpse into what goes on in the world of racing as we see horseplayers in this episode consulting clockers and jockeys and showing what all goes into preparing predictions for the race. We also see the horseplayers putting everything on the line, not just for themselves but as they direct others on how they should bet. The Horseplayers all start off at the Kentucky Derby giving viewers a glimpse into the beautiful race grounds at the Churchill Downs in Louisville, KY. We see Peter Rotondo, Jr., Matt Bernier, and Michael Beychok win big betting on Orb, but Chris Hellmers loses out as he was skeptical over the hype over race horse Orb. By the end of the episode though Hellmers redeems himself as Orb proves he cannot go the distance at Belmont Park and Hellmers prediction for the win, Palace Malice, takes first place. 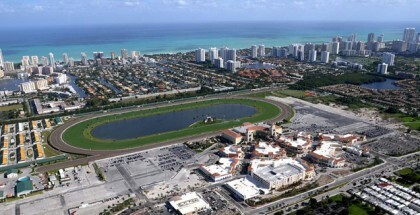 This episode also gave viewers more of a glimpse into the Horseplayers personal lives as we get more background as to how they entered the racing world, as Rotondo, Jr. stated, he first came to the track at 4-months-old in a stroller, to how their lives and relationships are now as we are introduced to Rotondo Jr.’s 22-year-old stepmom. Horseplayers is continuing to give us insight into the racing world and allowing us to get to know the Horseplayers personally. 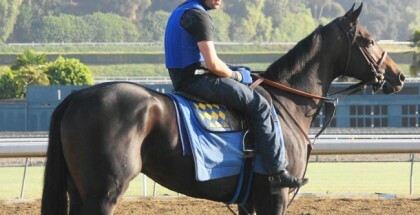 Check out the Horseplayers on Esquire TV every Tuesday at 10:00 PM EST.